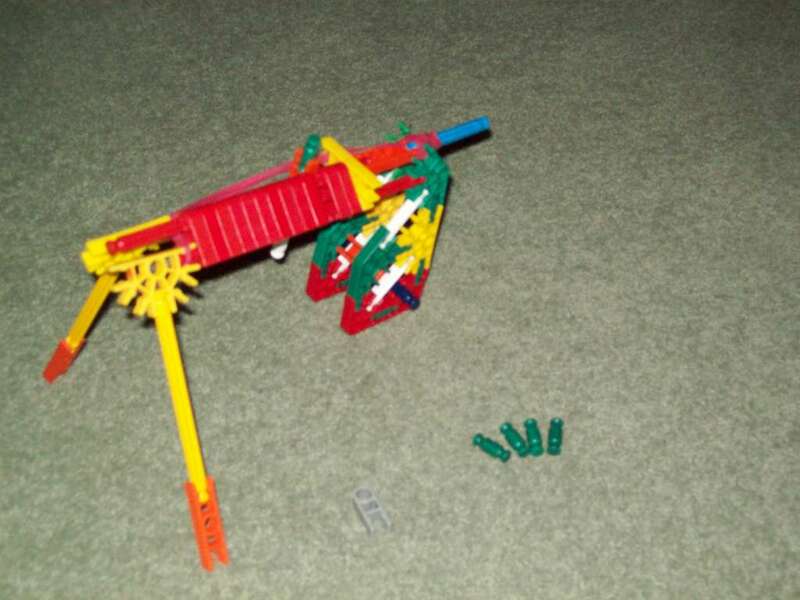 this is a model of a knex gun. bi pod and safety cap. Haha thankyou, In my opinion thers no need to spead hate. And Constructive critizism is another way of speading hate lol. Also many newbies get turned off by the meaness and just leave. When i was a newb people hated on my stuff and i almost left! Btw, just a semi-related question, could my comment below be considered "hating"? To be frank I thought it was a pretty nice comment, but eh... Well it is a true comment, that is. I think lieing would be worse. There are no instructions. I'm sorry, but I'll have to flag you. Also, please don't post block triggers. We have got enough of these already. It's a way of contacting the administrators. Basically by flagging a comment or instructable, you warn them that the flagged comment or Ible is inappropriate. The admins will recieve a message to look at the problem, and fix it if neccesary. Careful, only flag when it is needed. Flagging is not a way to ask for the deletion of people or Instructables you do not like. The flagged Ible or comment must be inappropriate by Instructable standards. why do you keep making guns in five minutes, taking 3 pictures of them and post them on the internet and calling it an instructable???!!! !